HDFC Bank had posted a net profit of Rs 3,865.33 crore for the October-December quarter of last fiscal year. 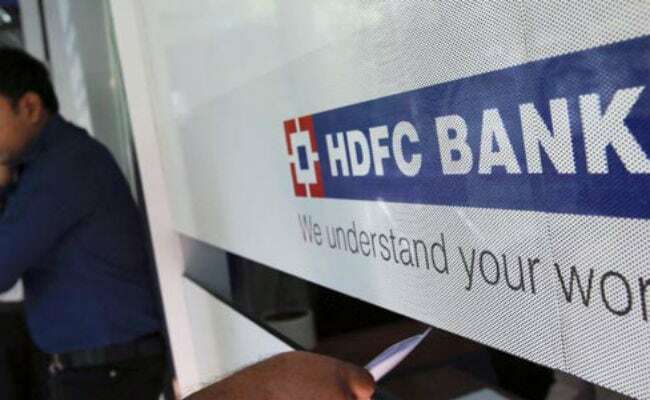 New Delhi: HDFC Bank on Friday reported a 20.1 per cent growth in net profit at Rs 4,642.6 crore for the third quarter of the current fiscal year. The private sector bank had posted a net profit of Rs 3,865.33 crore for the October-December quarter of last fiscal year. Total income rose to Rs 24,450.44 crore in the December quarter, up 17.84 per cent from Rs 20,748.27 crore in the year-ago period. Net interest income grew by 24.1 per cent to Rs 10,314.3 crore during the quarter under review from Rs 8,309.1 crore reported in the corresponding quarter a year ago. HDFC Bank's net interest margin stood at 4.3 per cent for the quarter. HDFC Bank's provisions (other than tax) and contingencies increased to Rs 1,351.44 crore as against Rs 715.78 crore reported in the corresponding period a year ago. At 13:08 pm, shares in HDFC Bank were trading 0.65 per cent higher at Rs 1,944.50 apiece on the BSE, whose benchmark Sensex index was trading 74 points higher at 35,334.